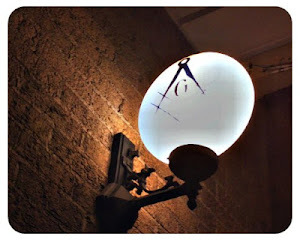 The Midnight Freemasons: What Brings Men To Freemasonry Generation After Generation? 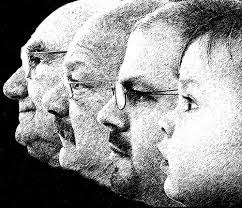 What Brings Men To Freemasonry Generation After Generation? Robert Johnson: What does my generation (The Millennials) get out of the Fraternity? That is a question posed to me not long ago by Bro. Todd E. Creason. When I thought about it, I really didn't know how to answer the question. Todd E. Creason: Well I asked you the question because I see these young men join, and I wonder why? Does your generation join for the same reasons mine does? Are we looking for the same answers? Do we have the same expectations in the beginning? Is it the same thing my father's, my grandfather's and my great-grandfather's generation was looking for? Robert Johnson: I thought "Don't we all get the same thing out of Masonry? Don't we become better men? Don't we simply get out of it what we put into it?" The answer later came to me as I sat at work thinking about the question. No, we do not all get the same thing out of Masonry. For me and my generation, and I cannot speak for all, but I think when a Millennial hears the word Fraternity, we immediately think about the movie "Revenge of The Nerds". We think about Lewis, Booger, Ogre and maybe the Fraternity of Lambda Lambda Lambda. 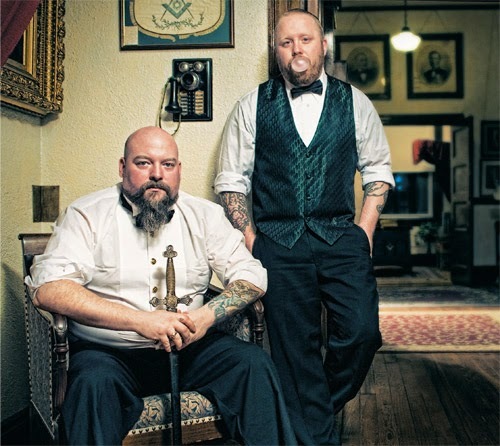 Todd E. Creason: I'd have to admit that when I first considered petitioning the Lodge, I didn't think of Freemasonry as a Fraternity in the way I understood the term. I thought of it as more as a society in possession of ancient knowledge and wisdom, and rich in tradition and ritual. As a lifelong student of history, I'd studied a lot of men I knew were Freemasons, and I wondered if the success they'd had wasn't something that they'd learned from Freemasonry. My goals in the beginning were purely selfish. I wanted to become a better man, and learn what the Freemasons had to teach me so that I could benefit from it personally. I was all too willing to put what I needed to into to it, so long as I got out of it what I wanted. Robert Johnson: When we think about Freemasons, I don't necessarily think we think about Fraternity. We think about the movie "National Treasure", Magic, Mystery and perhaps some of our more grounded Millennial members think about friendship and charity. It might not be until we were fully joined and made Master Masons that we indeed realized we were part of a real Fraternity. I think I echo your sentiments on joining for a personal gain. I too was looking for knowledge to make me understand the world, it’s people and why we are all here. The nature of these wants, was also a selfish one. Todd E. Creason: I wrote a piece some time back with Midnight Freemason Michael Shirley, and in that piece, we both admit that seeing the movie "National Treasure" played a part in both our decisions to petition. But the reality was very different. When I was raised a Master Mason, nobody handed me the key to the library, or an ancient scroll with all the answers on it. I'm not positive of course, but I'm pretty sure nobody I've met in the Fraternity in the years since knows the location of the Templar Treasure, the Holy Grail, or the Ark of the Covenant. What I found is that I suddenly knew a lot of fine men, dedicated to becoming better men regardless of their age, and filled with the certainty that they possessed the ability, and the responsibility of making themselves better men by living a virtuous life, and working to make the world a better place to live. And all of those men were suddenly my Brothers, and before too long at all, my friends, too. Robert Johnson: Just what a fraternity is, is abundantly clear to those of us who were members of Fraternities in College. So the question remains, what does a Millennial get out of the fraternity? I can only speak for myself and I think I am a good litmus test for the question, but what I get is a feeling of belonging, a pick me up every week, I get something to do that I know, makes a difference. Todd E. Creason: I couldn't agree more with that statement. For the first time in my life, I had an opportunity to contribute to something that really means something. I found a home in my Lodge--it was somewhere I truly felt like I belonged, and that's pretty unusual for a strange man like me. I soon forgot about the selfish reasons I'd originally petitioned. I was finding ways I could use the abilities I had to contribute to the goals of my Lodge. I was able to finally practice and polish skills I had but never had a chance to use in my job--like writing. And I quickly learned I had abilities I didn't even know I possessed, and within the comfortable environment of my Lodge I wasn't afraid to practice and develop those new skills with the assistance of my Brothers. I learned to give ritual in a large Scottish Rite Cathedral and speak about Freemasonry to a group of Masonic researchers. The idea of public speaking in any form prior to my joining the Lodge would break me out in a cold sweat, but I soon learned the benefits of getting over that fear was well worth the price of nervous butterflies, and a few damp shirts. Robert Johnson: It is said that people who have a meeting (non-work related) once a month or more frequent, are happier people. In fact one study that was conducted broke it down as follows; When we get a new thing ( a car, a bike, a game, a gadget) we are happy about it for about a week. When we get a raise at work, we are happy about it for about three to four days, but when compared to the happiness we feel when we have a fellowship meeting or a book club meeting, they all pail in comparison. The happiness we receive from being part of a group lasts months and years. This was based on one meeting a month. This is certainly the case for me as well. I really do become energized from having spent time with truly remarkable men. Todd E. Creason: And there is great truth in that. Some years ago, my Lodge had a member that was going through some very tumultuous times in his personal life. We were all worried about him, because we all knew he was on an emotional roller coaster at the time. But every month, without fail, he showed up at our meeting, took his chair, and by the end of the meeting would be a very different man than the downtrodden man that had walked in--back to his old self again. When he got through his personal crisis, he stood up at one our meetings and thanked the lodge. He said that no matter how low he felt, he never missed a meeting, because no matter what his state of mind was when he walked in, when he left, he felt better. And he thanked a few individual members for calling him, or dropping in to see him--he knew what they were doing. I remember how the members looked around at each other when he said that--that hadn't been something we'd discussed, it was just something the members of the Lodge took upon themselves to do. That's what Freemasons do--we're Brothers, we're family, and we look out for each other. Robert Johnson: I meet every week. I eat, drink and live this Fraternity. I am rich indeed. Rich in happiness. And what about the other side? There is of course the Millennial who joins and is basically forced to bring his lodge back from the dead? Burn out. So again, What does a Millennial get out of the Fraternity? Well, I think I would rather ask, "What does the Fraternity get out of the Millennials?" We are a generation of men who are really needy. We need it now, we grew up on Nike's slogan, "Just Do It". So that is what we do. Todd E. Creason: I don't think there's any wrong answer. I think if you asked a hundred Freemasons why they joined, and what they get out of it, you'd get a hundred different answers. A few minutes after I was raised a Master Mason, my safe conductor, Brother Sean McBride, gave me a piece of advice. I was sitting in the Lodge, trying to take in all I'd experienced and he sat down next to me and told me, "You'll get out of Freemasonry what you put into it." It was excellent advice, and it's proven to be true, except I've found I can never put back in what I've taken out. Later I got another piece of advice from a Mason I met when I joined the Scottish Rite. William J. Hussey's advice was a little different. His advice was, "Freemasonry will be what you make of it." He was correct as well. Every Mason's path is different, and what they contribute is different, and what they get out of it is different. For some it's the fellowship, for others it's the esoteric knowledge, for others it's the ritual, and for Masons like me it's the history and tradition. But I believe all Masons can agree on one thing. There is nothing else quite like it. Robert Johnson: I think that is just it. There is nothing else like it. The great treasure of Freemasonry everyone always talks about has the potential to be 7.5 billion different things because this Fraternity is different to everyone. For me, my treasure was exactly what I needed in life. And as my needs grew, Freemasonry fulfilled those needs. Freemasonry’s treasure hoards grew and grew within my mind because the things I needed, morally, philosophically and even materially were met by the Fraternity. It is rather strange, but I do consider myself the richest man in the world and I’d expect most Masons feel the same way when they think about all the things this Fraternity has done. Freemasonry is the greatest organization in the world. Photo Credit: The first photo in this piece is of Brothers Dave Norton and Chris Duggan of Amicable Lodge A. F. & A.M. in Cambridge, Massachusetts.